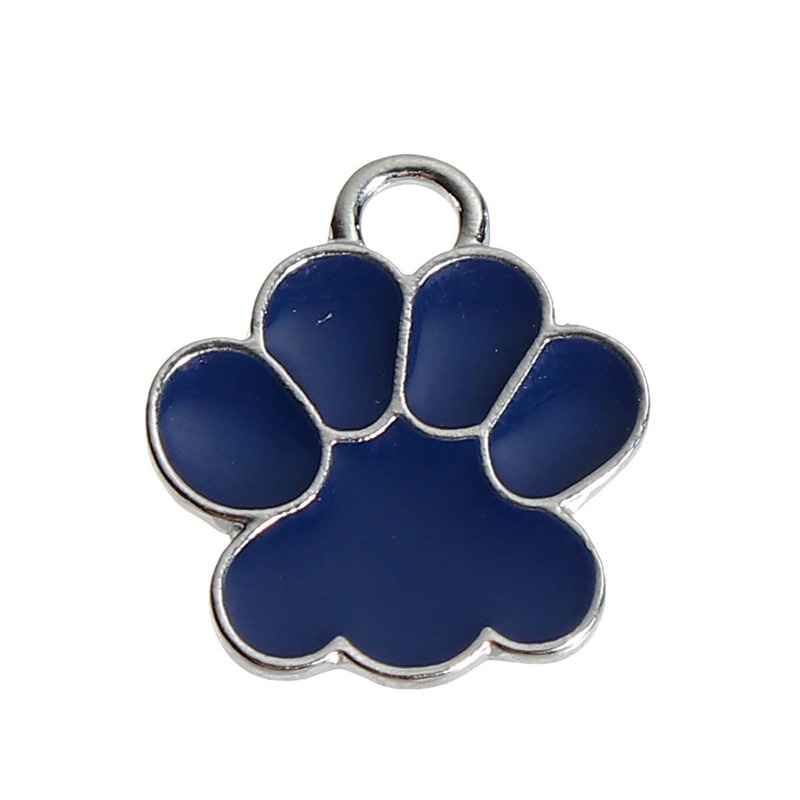 This blue enameled paw charm would be great paired with several other charms for a bracelet, charm necklace or just something to show your school spirit! 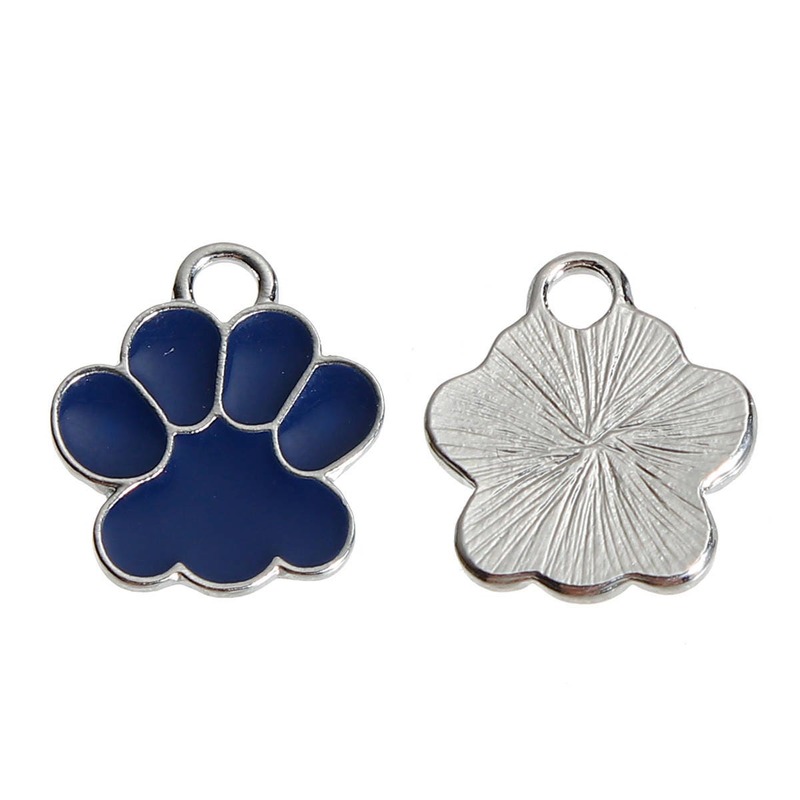 This silver tone charm is plain on one side and enameled with the blue paw pattern on the other. It has a loop at the top. Measures 19mm x 17mm. 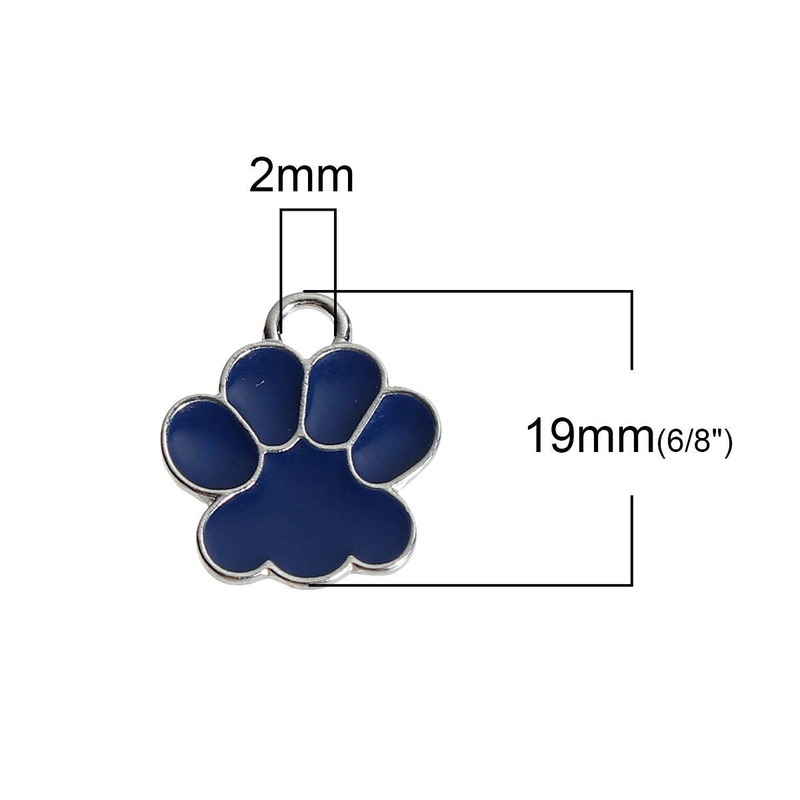 You will receive 4 paw charms! Quality is excellent. Very attractive.